Bristol-based recruitment agency Heat Recruitment has been awarded the highest possible accolade from Best Companies, achieving a three-star rating for workplace engagement and the way the business values its employees. The company was measured on eight factors of workplace engagement including leadership, management and wellbeing, and was taken by all company employees. They were then benchmarked against those of Google, Innocent and Ben and Jerry’s, with career-based, practical and personal perks available. From a career perspective, perks include a structured career plan, uncapped monthly commission, quarterly bonuses, training & development, target-related salary increases, pension contributions, annual staff awards and professional networking support. “This is a remarkable achievement for all of us at Heat. In 2018, we placed a strong focus on nurturing our talent and improving our reputation as an employer of choice, receiving three-star status from our employees is testament to this. “Our staffing has increased by 56 per cent over the last 12 months and shows no sign of slowing. 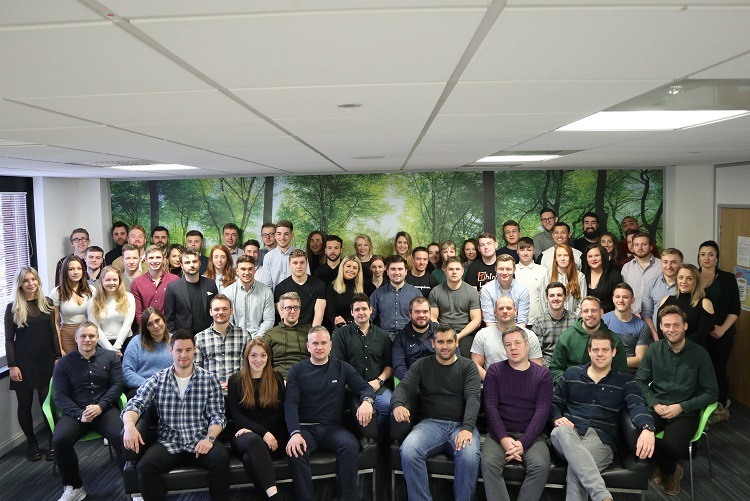 We are setting ambitious targets for 2019 and understand that fostering our company culture and supporting our team internally is what’s helping to propel us to the forefront of our industry. Look after your staff and they will look after you.